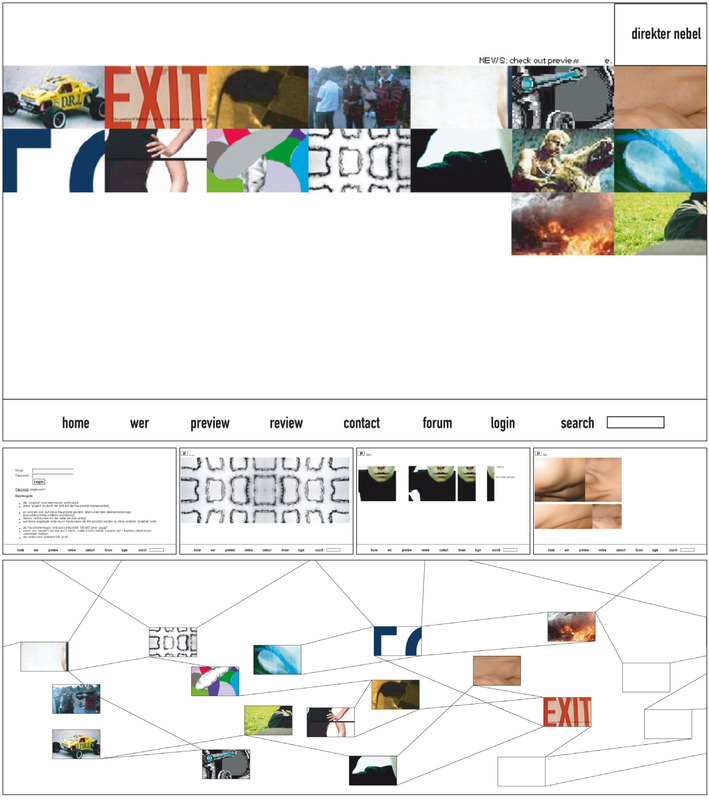 A website for a group of artists/users, that work with an easy hand able Cms. When the user creates a new project-site, the Cms generates a linked thumbnail on the front page, this thumbnail there is the navigation. Every project-site has to by linked by the creator – with an other existing site, he chooses the connection. So the visitor of ‘direkternebel.net’ clicks through the frontpage thumbnails, and/or continues to navigate site by site, following the creator’s choices. While moving the mouse over the menu buttons of the front page a sound field is created. The coding was done by Knallgrau using the Cms Iedit.